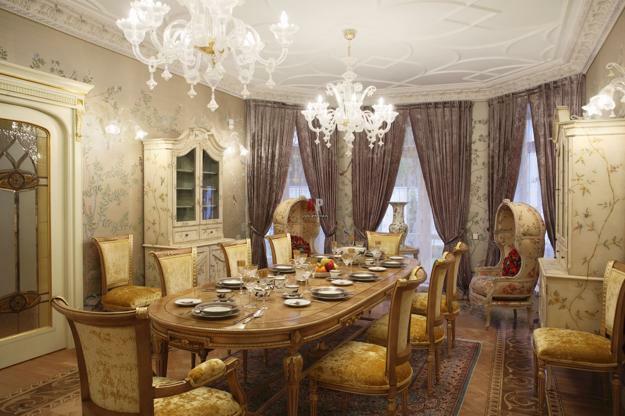 Dining furniture and chairs are the most important elements of dining room design and decor. 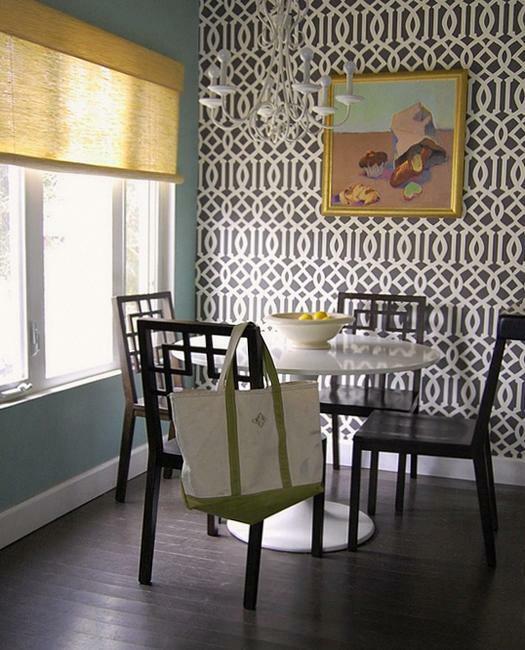 Modern wallpaper patterns and colors add striking details to dining room design and beautify room decor, creating unique and charming home interiors. 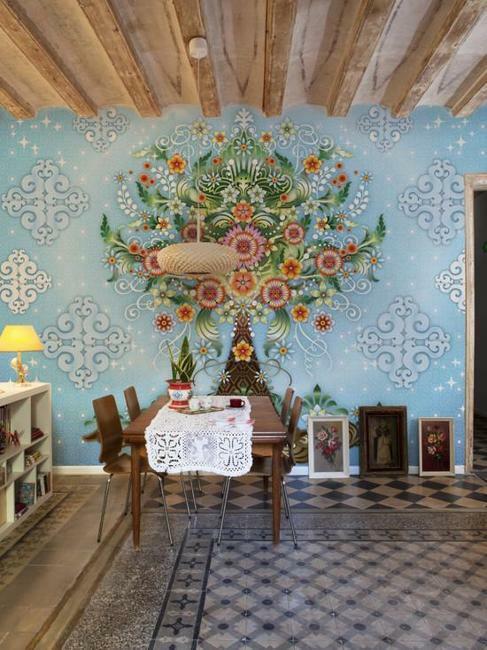 Lushome shares gorgeous pictures of modern dining room walls decorated with modern wallpaper designs. 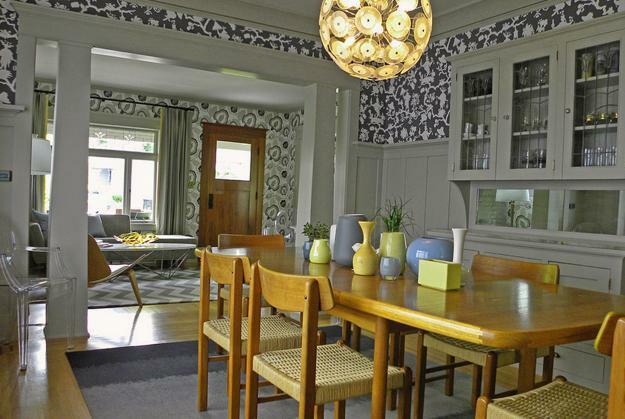 Dining room design and decor give great opportunities to personalize interiors. Modern wallpaper patterns create an irresistible urge to use these decorating ideas for creating attractive and comfortable rooms. 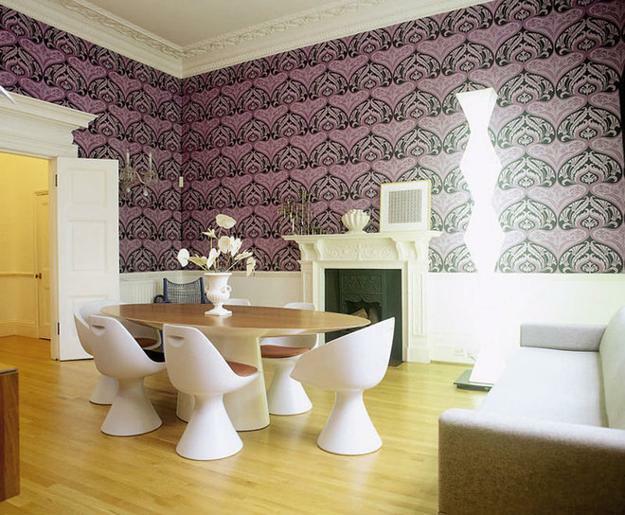 Modern wallpaper patterns and colors give amazing decorating touches to dining room design and decor and work well with wall paint, trims and artworks. 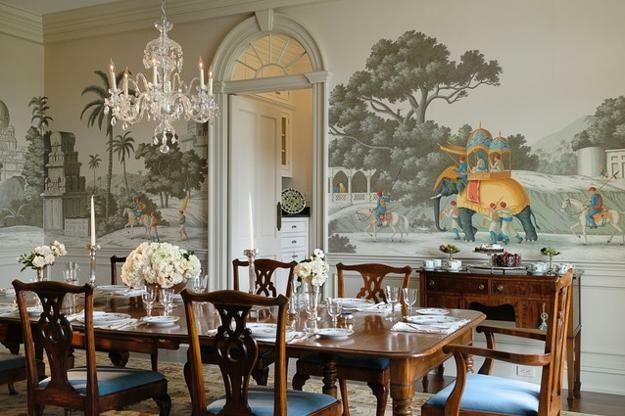 Modern wallpaper patterns and fresh color schemes are fantastic choices for design beautiful dining rooms with existing home furnishings. 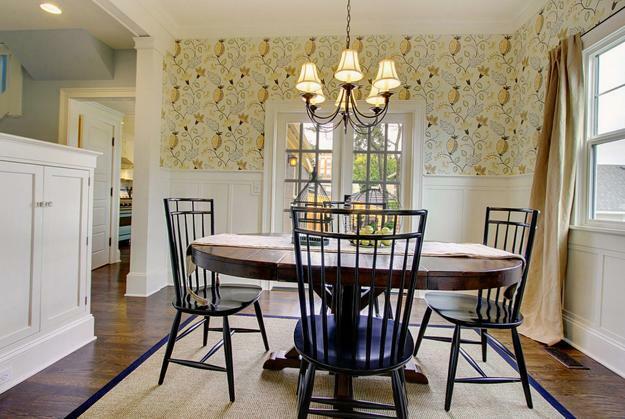 The color of walls, wallpaper and trim can absolutely transform any dining room design and decorating. 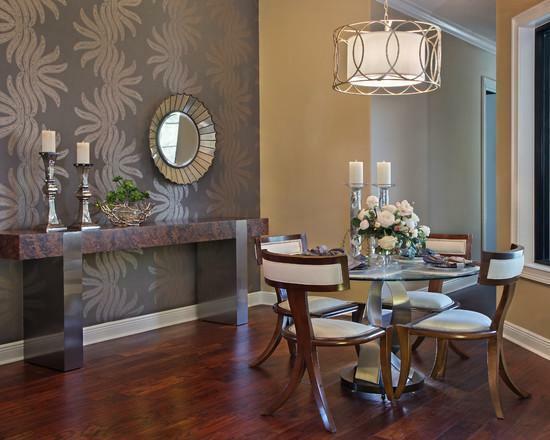 The attractive combinations of modern wallpaper, wall paint and trim pieces turn dining rooms into beautiful and unique living spaces. 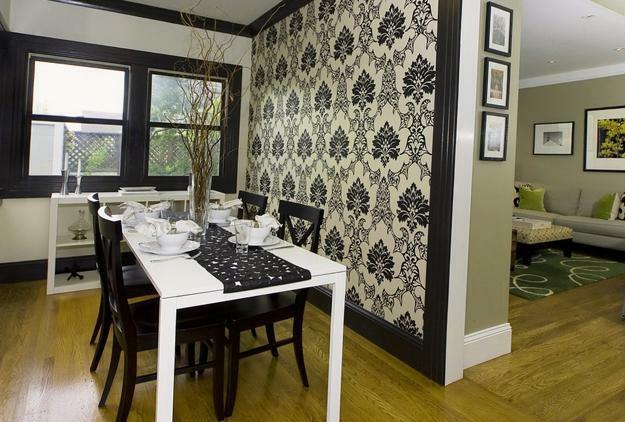 Small dining room design looks more spacious with small wallpaper designs in light colors. 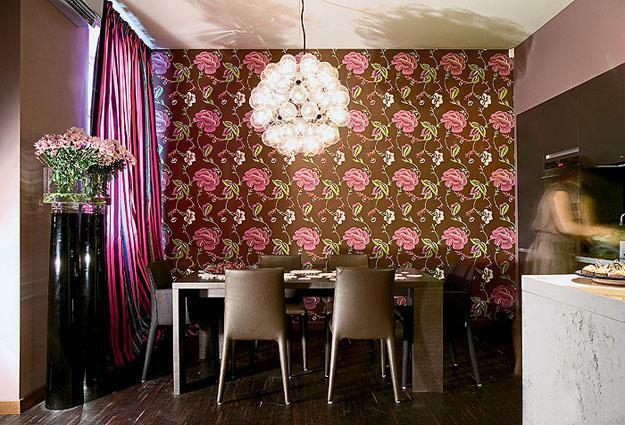 Modern wallpaper in dark colors bring cosiness into dining room and decor. 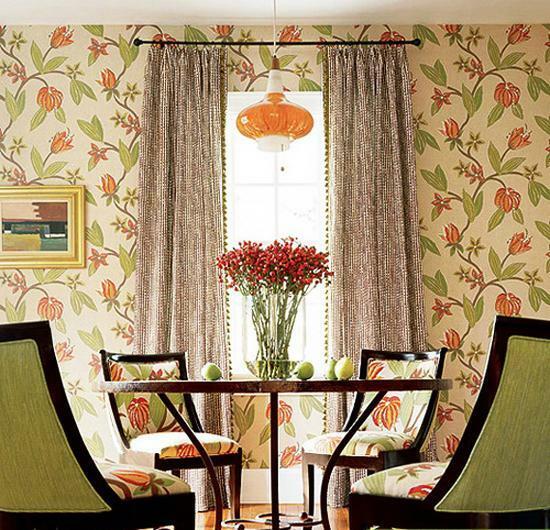 Combinations of light wall paints and wallpaper patterns in light shades with small designs are ideal for small dining room design and decorating. 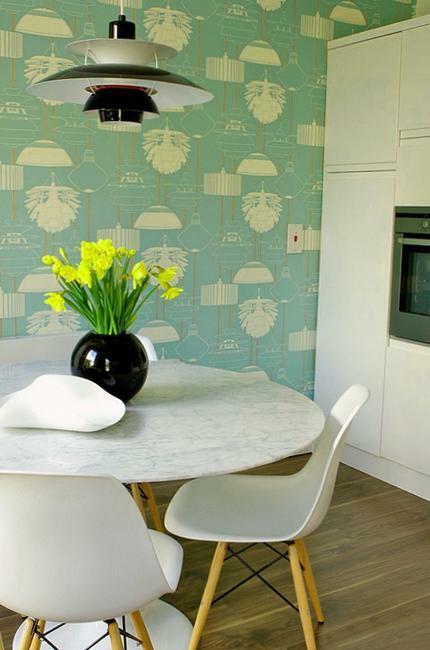 Generally, bright modern wallpaper patterns with small designs in light colors make dining room design and decor feel more open, airy and roomy. 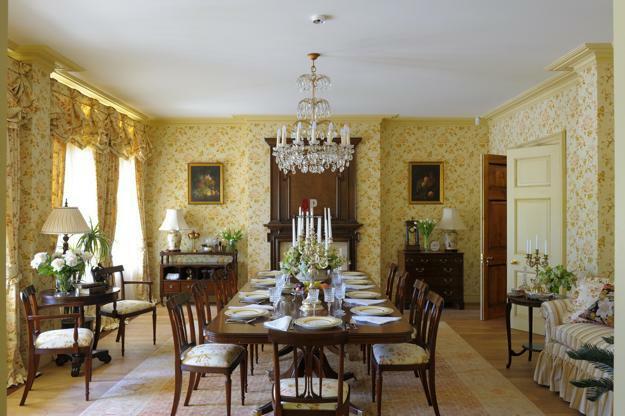 Choosing a bright color of wall paint and wallpaper pattern allows to create intricate and spectacular dining room design and add a personal touch to intimate and romantic dining room decorating. 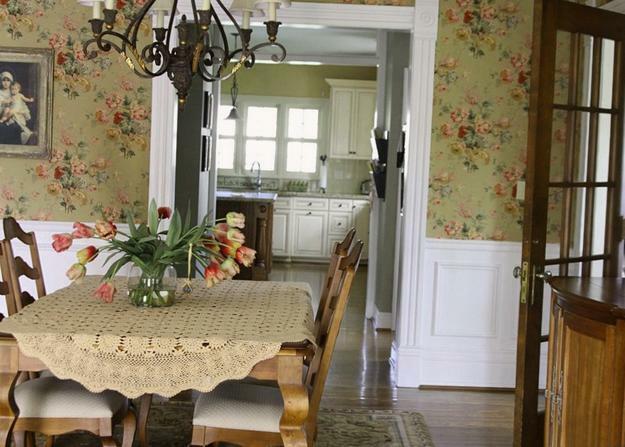 Using modern wallpaper patterns for dining room design and decorating create elegant atmosphere. Hanging large artworks, decorating with large chandeliers and striking accents create beautiful effects and design very attractive dining room decor.